What to do with my new Audi A6 Bi Turbo? I just picked up a 2000 audi a6 bi turbo quattro with a 6speed manual trans. looking to mod it a little bit dont even know where to start? Re: What to do with my new Audi A6 Bi Turbo? chip it. im a GIAC dealer in waterloo. How much does that normally run? How much more power and performance would that give me? last just as long as normal aslong as u let them heat up and cool down properly. does this place chip older audis also? 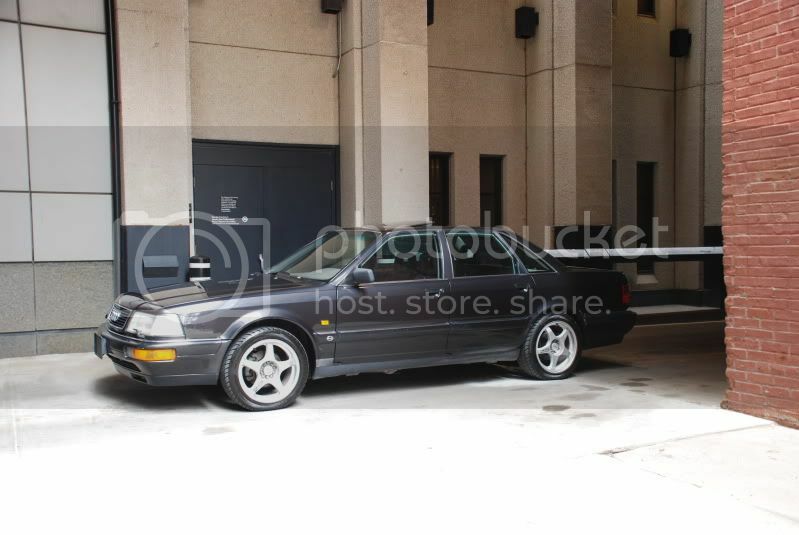 i just picked up a 1990 v8 quattro with the 3.6 and im wanting to make more power. I figured I would let you Audi guys know also about a great guy name Alek (from Projekt German) how works on a wide range of Euro vehicles. If you go to my services page on my site his info is there.....Eur Mechaniker, you won't be disappointed. Before you get all crazy trying to mod that thing, I'm more than sure there's stuff it needs. Make sure you check the timing belt, cam seals, and control arms first. Those are going to be your biggest issues. As far as a chip goes there's tons to choose from. Some are more aggressive than others. Make sure you let that thing warm up and cool down to expand the life of those turbos as James said. Well said....that generally goes for just about every vehicle you buy that is not dealership new. People expect to push the limits on engines that have not been kept up with. This in turn is where people start to hate on brands and always have something negative to say about them. As far as Alek being a dickface, I've not been show to talk to him long enough to make that association yet....LOL. He did leave a very good impression on us all as being a very genuine stand up guy, which is why I will be sending people his way. We NEED more of you Projekt German guys to come to our meets......coming from Florida, I really miss not seeing diversity in our shows. I was joking about Alek. lol Him and I are good friends. He's a great guy for sure. He takes care of all the independent stuff whereas I do the dealer warranty stuff (Lithia). not much if anything offered for these. these are just great cruising cars tho. boss used to have one. i loved it. was a TANK in the winter. definetly get in touch with alek, he knows his way around the V8Q, and thats because he is also the owner of an immaculate example of the type. 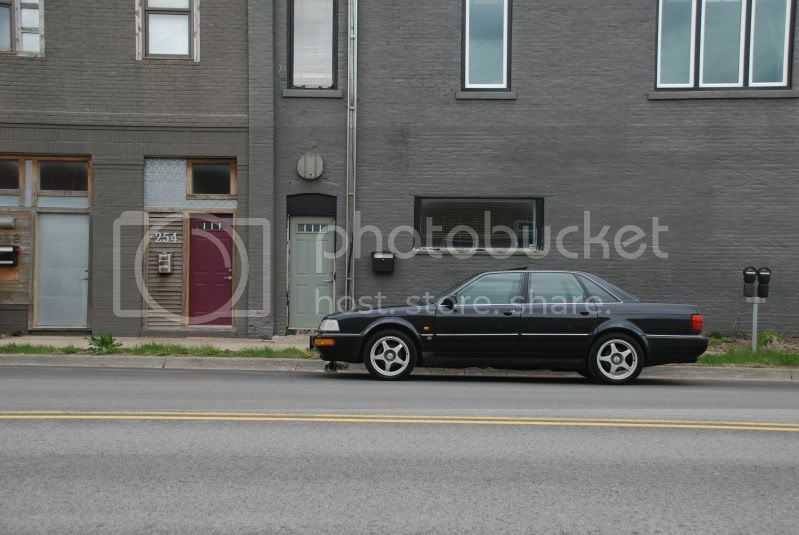 i love that car. and yes there is a chip available for the 3.6, but it is hard to find. and as mentioned above, chipped doesn't mean your turbos will give out. i've had my passat chipped since 65,000 miles and i'm past 175k now on the stock turbo, and its given me zero issues. Last edited by PKG President; 03/19/2012 at 06:16 PM. All times are GMT -6. The time now is 01:34 PM.